One of the reasons I love spring is because we love entertaining friends and family outside, and the weather is just perfect for it! In the winter we tend to hibernate, so it’s about time to come out of the ‘cave’. 😉 While my parties are fairly laid back and informal affairs, I do like to spice things up a bit! Here are some tips. Music! You have to have music. Set the mood. I hook up my iPod to outdoor speakers so I can blast music into the backyard. For something a little different, it’s fun to invite friends to connect their iPods, too, and see what’s on their playlists. You might learn something about them, or be introduced to an artist you don’t know. Decorations! Some fresh flowers and a bright tablecloth go a long way. Outside, simply mowing the lawn will make your yard look brand new. If it’s a small group, use real silverware and dishes. None of that paper stuff! Tiki torches and citronella candles are practical ways to decorate! Food! You don’t always have to fire up the grill. I love taco and nacho bars, for instance. So easy. Just set up a table with tortillas and/or tortilla chips; the main protein – ground beef, grilled chicken, steak, fish, tofu even; and another with all the toppings. Make fruity ice cubes by placing berries and other fruit in ice cube trays and covering with water. Add to pretty much any drink to kick things up a notch. Finger foods are great, too! 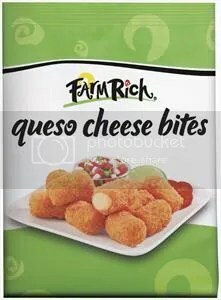 Farm Rich, the popular brand of frozen snacks and appetizers, wants to help spice up your parties with their new Queso Cheese Bites – delicious, bite-sized snacks that are crisp and toasty on the outside, and filled with creamy white queso cheese on the inside. Between now and and May 4, play Pesos 4 Quesos for a chance to win a $3,500 “Fiesta Grande” from Farm Rich or weekly $200 gift cards. Visit the Farm Rich Facebook page and click on Pesos 4 Quesos to play! By reaching certain game levels, you can also earn coupons to try the new Queso Cheese Bites. The grand-prize winner will be announced on May 5. This game is addicting! Can’t. Stop. Playing. For real. 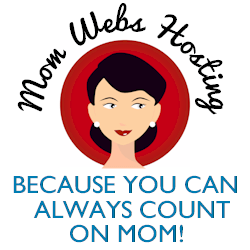 Disclosure: I wrote this blog post while participating in the SocialMoms and Farm Rich blogging program, to earn My SocialMoms Rewards Points. The opinions and ideas expressed here are my own.